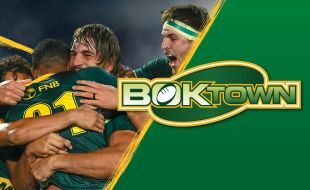 Boktown creates a unique experience that goes beyond the 80 minutes on the field. The official supporters’ village offers passionate Springbok fans the best alternative to being at the game. Rugby fans gather to watch the game live on the outdoor big screen whilst enjoying a day filled with family fun: live entertainment, price giveaways, food and beverage sales, appearances by SA Rugby Legends, My Players stars and Bokkie – the official Springbok mascot.